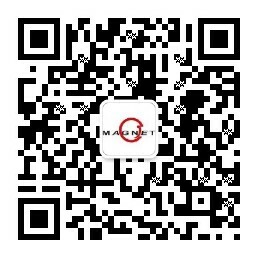 Zhejiang Sheensen Magnetics Technology Co.,Ltd. Established in 2002, Zhejiang Sheensen Magnetics Technology Co., Ltd. is a high-tech enterprise integrating R&D, production and sales of permanent magnetic materials and their application products. In 2012, the company changed its name and moved to Tianzihu Industrial Zone, Anji County, Zhejiang Province. At the very beginning of its establishment, the company based on a high starting point and committed to a high level of development.Through more than ten years of hard work, the company has passed ISO 14001, ISO9001, IATF6949 and other international certification systems. It has a series of advanced production equipment and testing instruments at home and abroad, and has successively introduced domestic first-class permanent magnetic materials experts and professional and technical personnel. , forming a research and development technology team with doctoral supervisors as technology leaders and multiple doctors as backbones. Asian Metal: Mr. Bao, hello! Thank you for accepting an exclusive interview with Asian Metals. Please briefly introduce your company. Bao: Established in 2002, Zhejiang Sheensen MagneticsTechnology Co., Ltd. is a high-tech enterprise integrating R&D, production and sales of permanent magnetic materials and their application products. In 2012, the company changed its name and moved to Tianzihu Industrial Zone, Anji County, Zhejiang Province. At the very beginning of its establishment, the company based on a high starting point and committed to a high level of development. Through more than ten years of hard work, the company has passed ISO 14001, ISO9001, IATF6949 and other international certification systems. It has a series of advanced production equipment and testing instruments at home and abroad, and has successively introduced domestic first-class permanent magnetic materials experts and professional and technical personnel. , forming a research and development technology team with doctoral supervisors as technology leaders and multiple doctors as backbones. At the same time, it also carried out in-depth scientific and technological cooperation between schools and enterprises, and jointly established a permanent magnet material R&D center together with China Metrology University. It strived to promote scientific and technological innovation capabilities and urged companies to rank among the best in the field of research and development of high-end permanent magnet materials. Zhejiang Sheensen MagneticsTechnology Co., Ltd., with a solid foundation for development, is brave in pioneering and innovative spirits, and has increasingly strengthened scientific research strength. It continues to push the company to become stronger and bigger, and has thus obtained "(national) high-tech enterprises" and "Zhejiang "Provincial high-tech enterprise R & D center", "Zhejiang science and technology enterprises", "Huzhou City high-tech high-growth enterprises" and other honorary titles. In the future, the company will continue to forge ahead along the development path of technology, high-end, and internationalization, and strive to realize the establishment of a permanent supplier of permanent magnetic materials and components. Asian Metal: Please also introduce your personal experience. Bao: In 2007, I entered the industry of NdFeB, acted as the general manager of Ningbo Branch company in 2008 and the general manager of Zhejiang Sheensen Magnetics in 2012. Asian Metals: At present, China's NdFeB magnetic materials industry is in excess supply. It is reported that the annual production capacity of China's NdFeB magnetic materials industry has reached 300,000 tons or more, but the annual global demand for China's NdFeB magnetic materials is only about 150,000 tons. . Will your company maintain its advantage in such fierce competition? Bao: The market competition for NdFeB magnetic materials industry has become increasingly fierce. The company had expected and actively responded. In recent years, the company has formulated and implemented the “Three Strong and One Construction” strategy. In brief, it is “Strengthening scientific research and maintaining product development advantages; Strong management, maintaining the advantages of production efficiency; Strong brand, maintaining quality and reputation; Building a culture And maintain the advantages of development." Asian Metal: In the first three quarters of 2017, the prices of rare earth raw materials continued to strengthen, and in September prices hit new highs in recent years. Taking the prices of antimony-based mixed metals as an example, the price rose to 655,000-665,000 yuan per ton in 30-day bill payment in early September 2017, which is an increase of 96.7% compared with the price in early 2017. However, many magnetic material manufacturers report that the price increase of NdFeB magnetic materials in the first three quarters of 2017 is much lower than that of the Strontium-Mixed Metals. What is your company's situation? Is it difficult to raise the price of NdFeB magnetic material when raw material prices rise? Bao: The rise of raw materials brings certain pressure on the company's operations. The main countermeasure to resolve this problem is to actively develop new products and to grasp the initiative of pricing to some extent. In addition, deepen potential, optimize processes, improve efficiency, reduce waste, and reduce costs from various production processes. In this way, the rising pressure of raw materials can be resolved, and the company's own competitiveness can also be continuously enhanced. In short, we must find ways to turn crisis into opportunities. Asian Metal: How is your company operating throughout the year 2017? Does the turnover increase substantially year-on-year? Bao: The operating conditions of the company in 2017 were still very good. The annual sales revenue increased by 40% year-on-year. In order to meet the company's development needs in 2018, invest 200 million CNY to build new plants to expand production capacity, it is expected that the capacity will reach 3,000 tons by 2020. Asian Metal: How do you think about the output of NdFeB magnets in China in 2017? Will it increase year-on-year? Bao: I personally think that the output of NdFeB in China is about 130,000 tons, which is certainly an increase compared to 2016. Asian Metal: After 2011, even if the price rises, the magnetic material plant procurement is very rational, basically will not blindly follow the trend, under the premise of ensuring safety stocks, usually according to a single purchase, what strategy does your company currently purchase on raw material procurement? Bao: On the basis of normal order purchases, a certain percentage of safety stocks are properly maintained under reasonable prices. Asian Metal: How do you see the future of China's NdFeB magnetic material industry? What do you think are the biggest challenges facing the current magnetics industry? Bao: The prospects of China's NdFeB magnetic material industry are undoubtedly good, but the overall industry is not as good as every enterprise will be good. The future NdFeB magnetic material market must belong to those with strong technology, strong management, and strong brand. "Three strong" companies. Asian Metal: Thank you again for your introduction of Asian Metals. Your company is thriving!